Grande Synthe "jungle", camp for migrants in Grande Synthe, Nord pas de Calais region, France. \n\nMen cooking potatoes and trying to warm up. 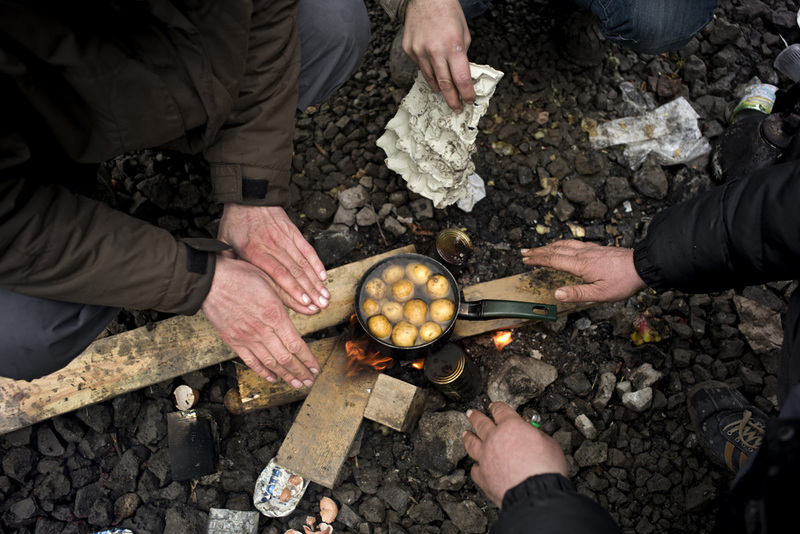 Migrants recieve different kind of food from volunteers but it remains very basic meals.